City boss says he’s happy for his compatriot’s success. Manchester City boss Manuel Pellegrini has made a surprise admission before his side face Arsenal at the weekend by claiming the Gunners star striker Alexis Sanchez is the best player in the Premier League. Pellegrini seemed to confess that Sanchez, a £32 million signing for the North London side in the summer, who has scored 12 goals and seven assists already this season, was an even better player than City’s main man; Sergio Aguero. “I’m happy for him because at this time he is the best player in English football. “I always thought [he was going to be world class]. The only thing you could criticise him for before was that he didn’t score enough goals. The comments from Pellegrini may come as a shock to City’s own skilled South American forward Sergio Aguero who has still netted more goals than Sanchez this season despite being out injured with a knee injury since the start of December and only returning to action over the weekend. 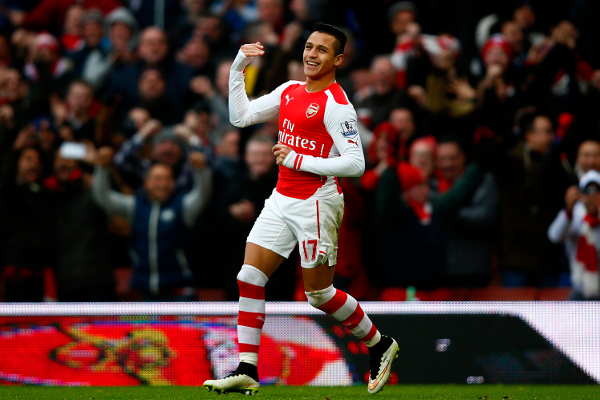 “Alexis has progressed in recent years. His spell at Barcelona has been very useful for him as well as sharing a team with great players,” added Pellegrini. It will be interesting to see how both forwards react to the comments and who comes out on top when the two sides clash at the Etihad this weekend.